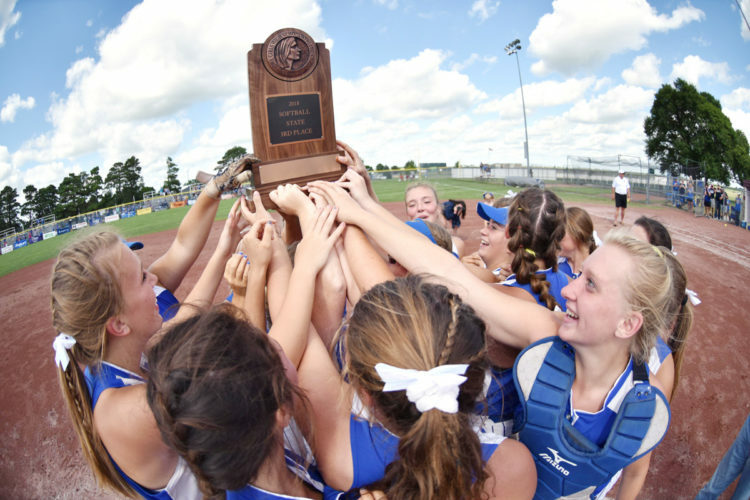 Isabelle True found it hard to put into words what it meant to win a state tournament game. The Louisa-Muscatine junior did all of her talking on the field. 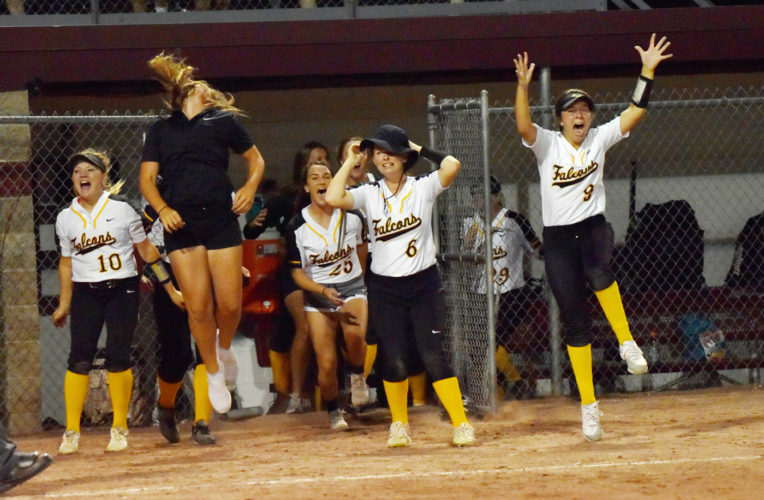 The junior pitcher led the third-ranked Falcons (36-6) to a 3-2 victory over upset-minded Wilton (25-16) in a Class 2A quarterfinal contest at Rogers Park on Monday. 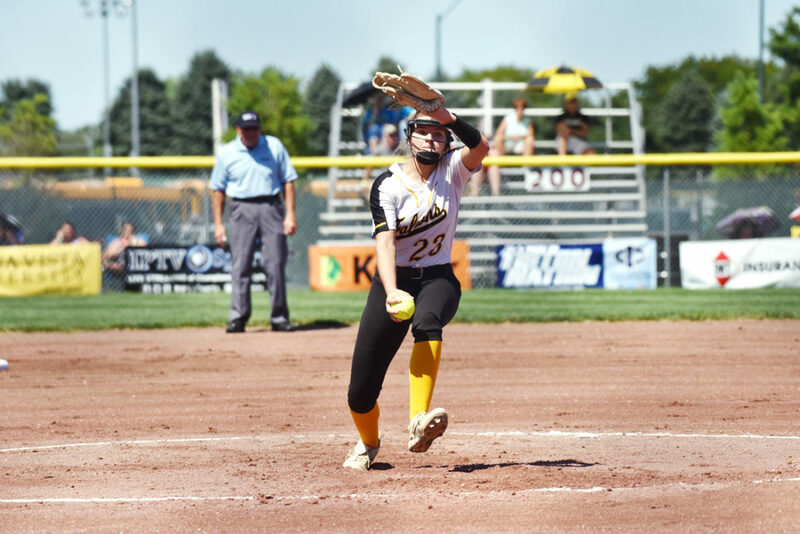 Louisa-Muscatine, which was making the school’s first ever state appearance, will now face Central Springs (27-4) in semifinal action on Wednesday at 3 p.m. on Buena Vista University Diamond. 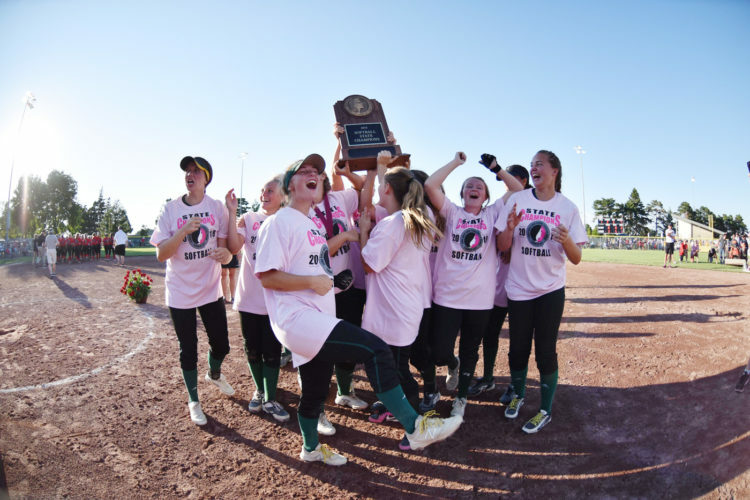 True (18-3) set a Class 2A seven-inning tournament record with 16 strikeouts. “It felt pretty good (to get 16 strikeouts),” True said. “There was a lot of pressure on us, being here for the first time. She allowed three hits, walked six batters (three intentionally), and one batter reached on an error. True entered the contest with an ERA of 1.40 and had fanned 173 batters. She also came up big at the plate for the Falcons, blasting her team high sixth home run of the season. She scored two runs as well. 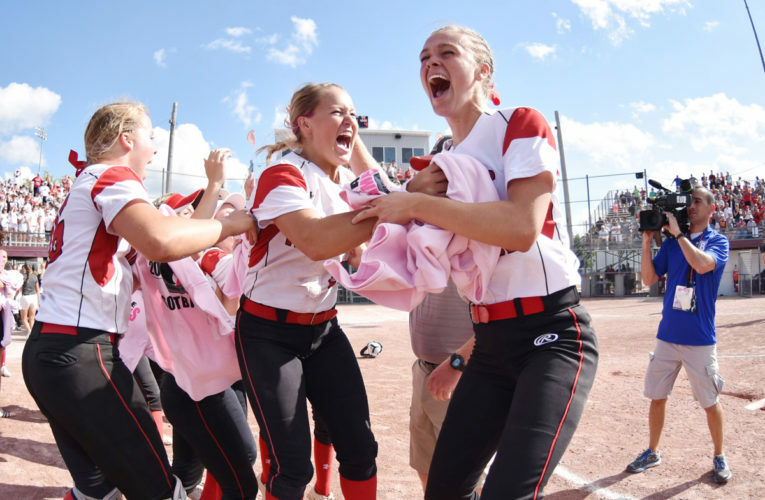 “She (True)is a great pitcher,” said Louisa-Muscatine head coach Bryan Butler. “She is solid and gave up only a couple of hits. We were hoping to put more runs on the board. Wilton pitchers Mila Johnson (12-5) combined to give up five hits. Eighth-grader Mallory Lange was 2-for-3 for the Beavers with a double and drove in a run. Junior Kortney Drake had the other Beaver hit. 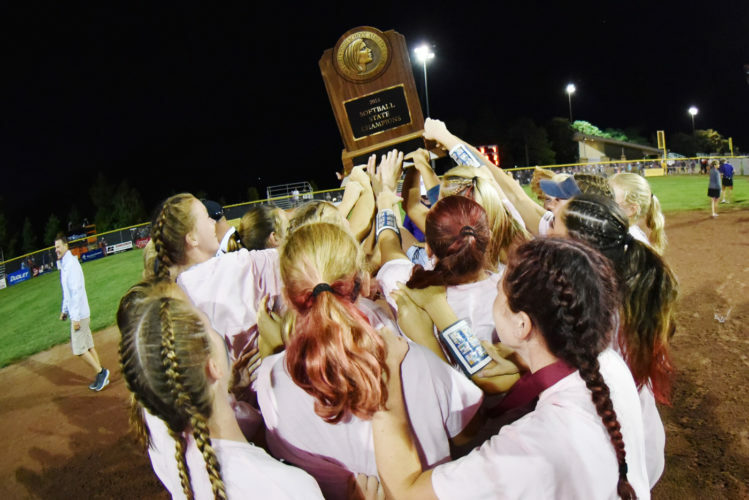 Wilton freshman Chloe Wells, who leads Class 2A in RBI (60, third in the state), doubles (22) and has nine home runs was intentionally walked three times. She was batting .572. True and the Falcons were in a tough position late in the game when Wells reached the plate with the bases loaded and one out. The Falcons pitched to True, who then drew her fourth walk of the game. She ended the game 0-for-0, reaching base four times, scoring and driving in a run. 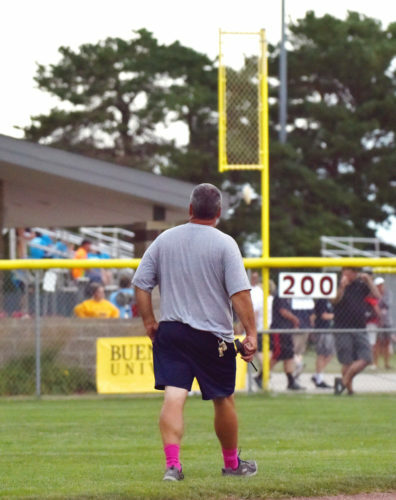 “They’re a solid team and they were pitching well,” said Wilton coach Kortney Denkman. “We just have to get after it (Tuesday). The Beavers will face Logan-Magnolia (27-7) in a consolation game on Tuesday. Action is set to begin at 1 p.m. on Dodger Diamond. Mila Johnson (L, 4 IP, 5 hits, 3ER, 3BB, 1SO) and Chloe Wells (2IP, 0 hits, 0ER, 2BB, 1SO); Isabelle True (W, 7IP, 3 hits, 1ER, 6BB, 16SO). 2B–W: Mallory Lange; HR–L-M: Isabelle Ture; SB–W: Mallory Lange, Chloe Wells.